Any Celebration is always cherishable and very close to heart. Whether it’s a birthday party, new born or wedding. It is always the most memorable moments for us. So if the event is so important then why not the invitation card. 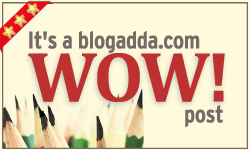 As it is rightly said that the first impression of anyone/anything is something that tells you most of that person or thing. Similarly I feel the invitation card is the first impression of any event. 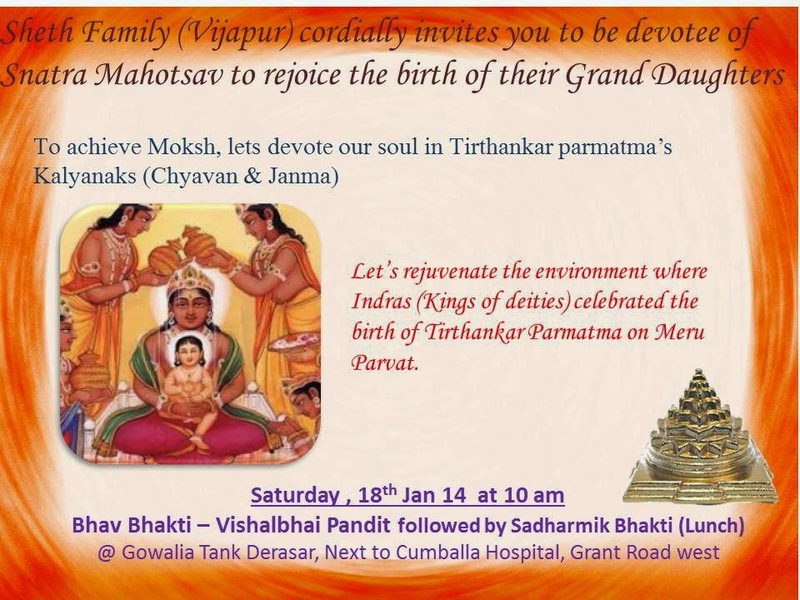 Invitation card shall tell you how eager the people are for this function, the excitement in their nerves. It is direct mirror to the heart of the people whose occasion is gonna be celebrated. 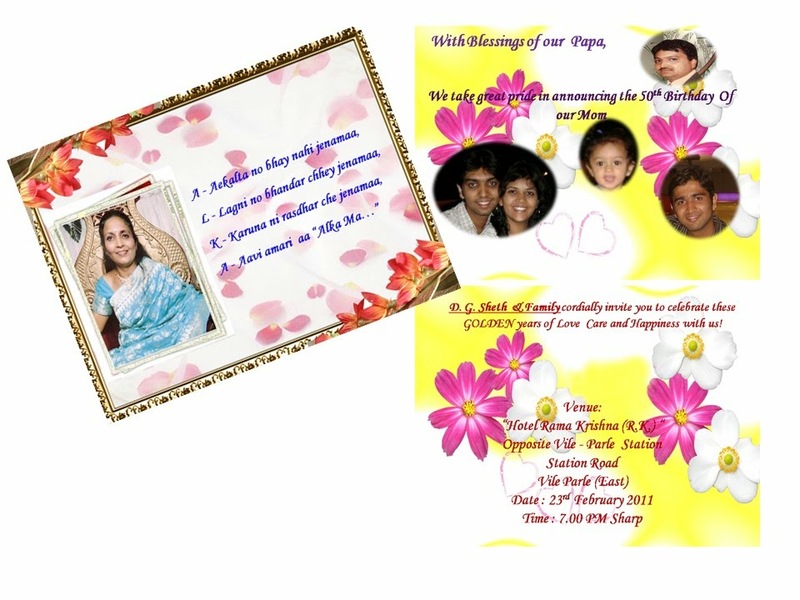 Hence, from my busy schedule I do prepare invitation card of all the events in my family, for my friends and many more…. 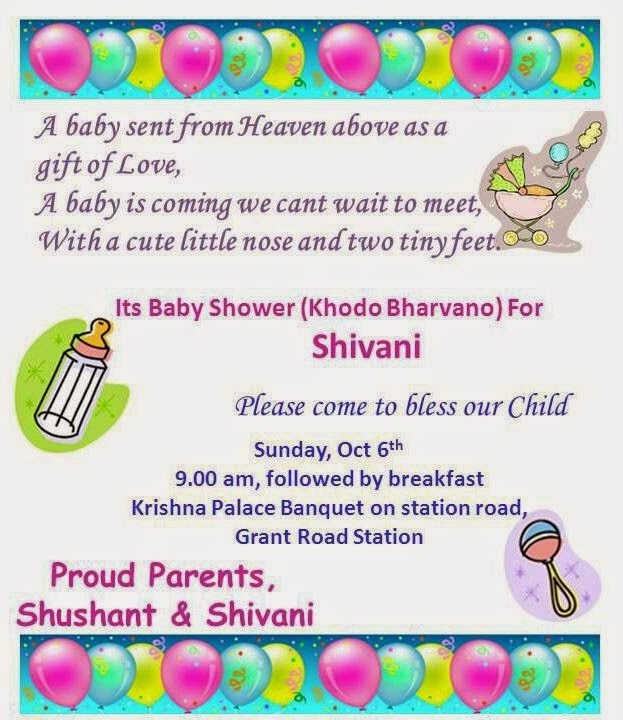 Baby Shower Invites are like living as a Mom for a while. I love pen downing the Pregnant Mummas feelings. New Born celebration in a unique manner. Let's thank God first and celebrate with him ; birth of our angels. Celebrating 50th Birthday of parents, especially by their kids is the best gift any kid can give to them. 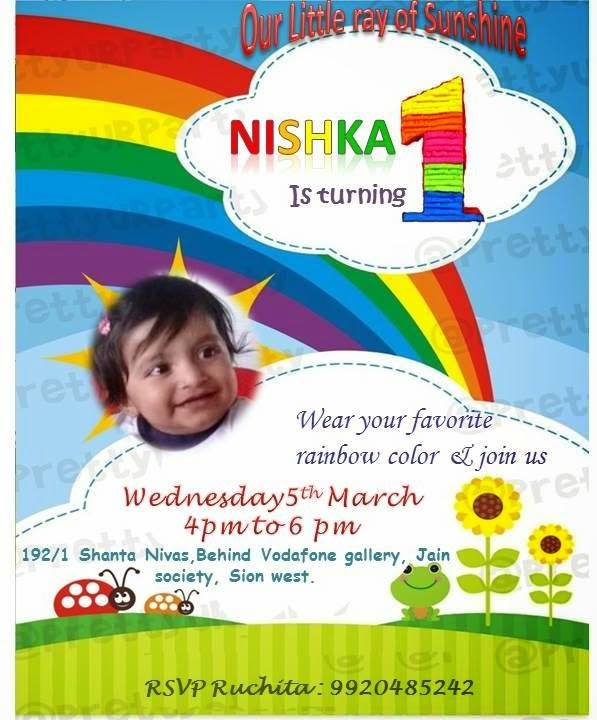 This is very close to my heart, its 1st birthday party invite of my sweet little Gudia.